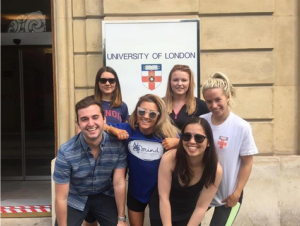 The University of London Institute in Paris (ULIP) is proud that, for the third year running, its students are organising the Tower to Tower Bike Ride. A team of ULIP students will be cycling from the Eiffel Tower to Blackpool Tower in June 2017 to raise funds for the mental health charity Mind. The journey consists of a 600-mile bike ride between Paris and Blackpool, over the course of nine days. This immense challenge is being taken on by six ULIP students, three who have participated in previous years, and three new riders. In addition, they will be accompanied by a support crew, ready to act should anything go wrong. Second-year student Sophie Boyle, this year’s Bike Ride Committee Chair, says: “As students, Mind and the work they do for dealing with student mental health issues are very important to us. We’re all nervous about the ride, which we know is going to be physically and mentally draining, so please help us, and Mind, by donating generously”. One in four people will experience a mental health problem in any given year, but it is estimated only 25% of people with mental health problems receive support each year. The ULIP students aim to raise both money and awareness, so please do help the Tower to Tower bike ride team and Mind by spreading the word and donating at this link. January 29, 2017 in General.